I’m prepping to move into a new studio soon here in Hilo! 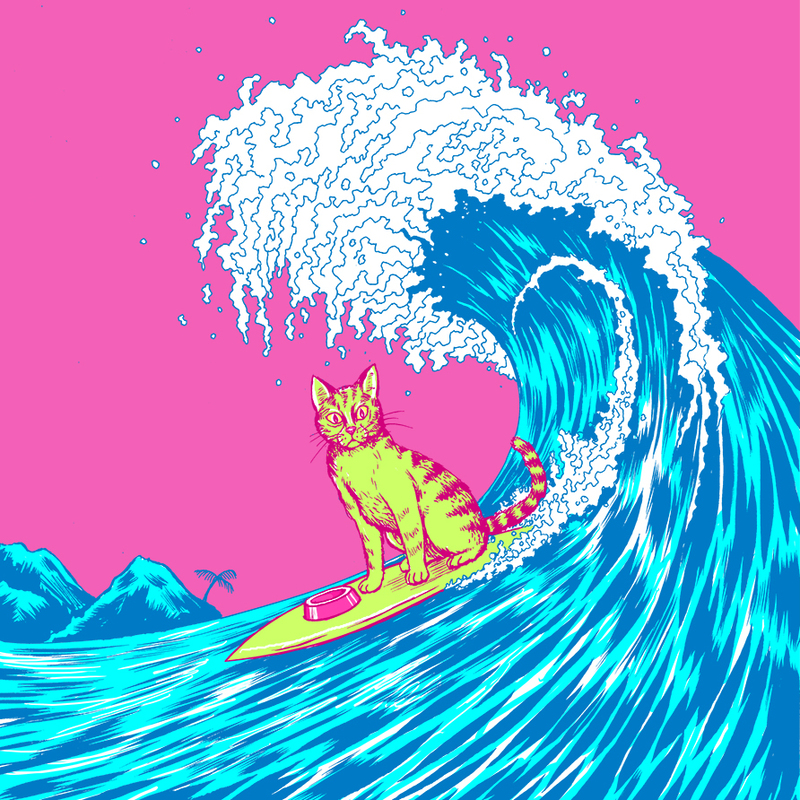 To celebrate I drew up a Surf Cat! 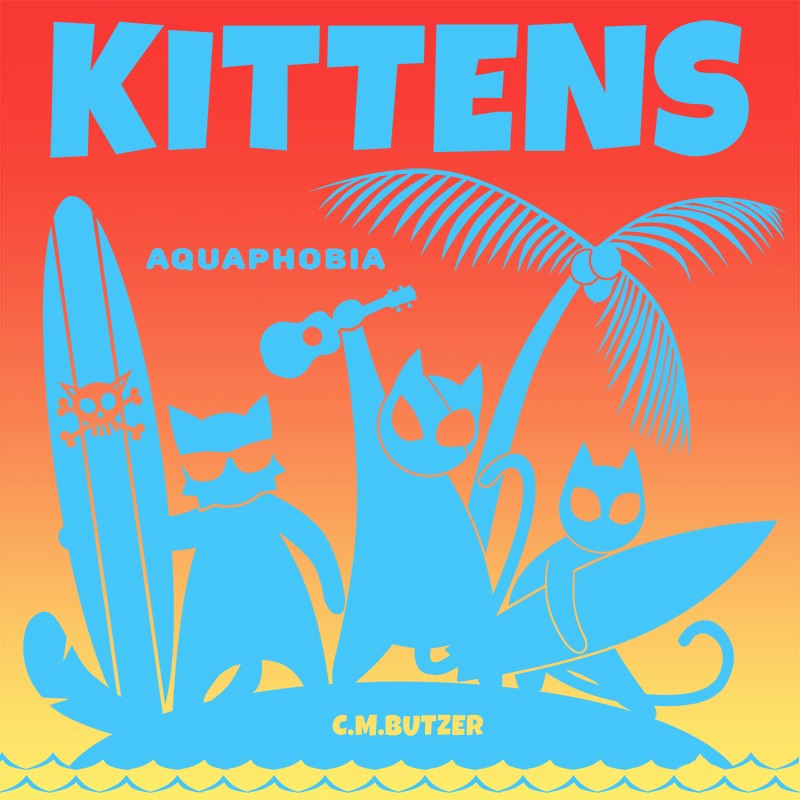 I needed a new image for a business card. Something fun and memorable. My friend Izzy mentioned he was holding a space themed event with scientists from the University of Hawaii, Hilo at the Hilo Town Tavern and asked if I could work up a poster design. 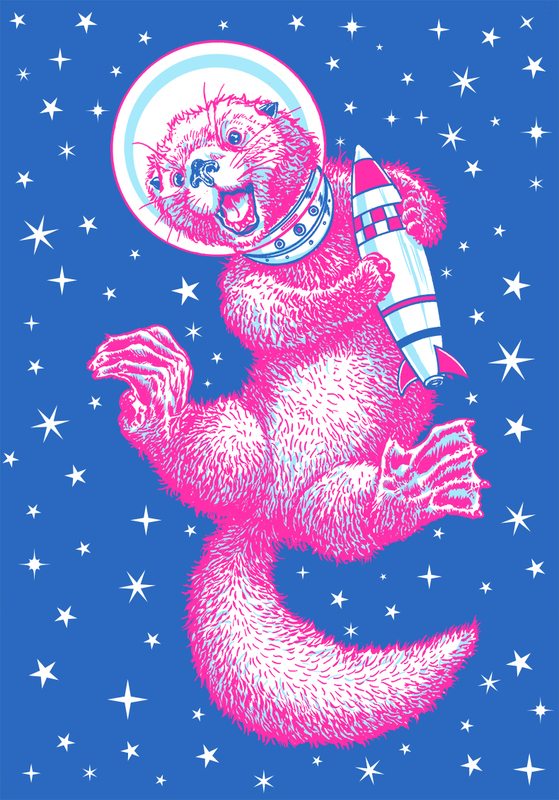 The event was called “OTTER SPACE”. The event fell through, but I couldn’t help but draw it up. I’ll be exhibiting this weekend at the Printmaker Book and Print Fest! Hope to see you there! 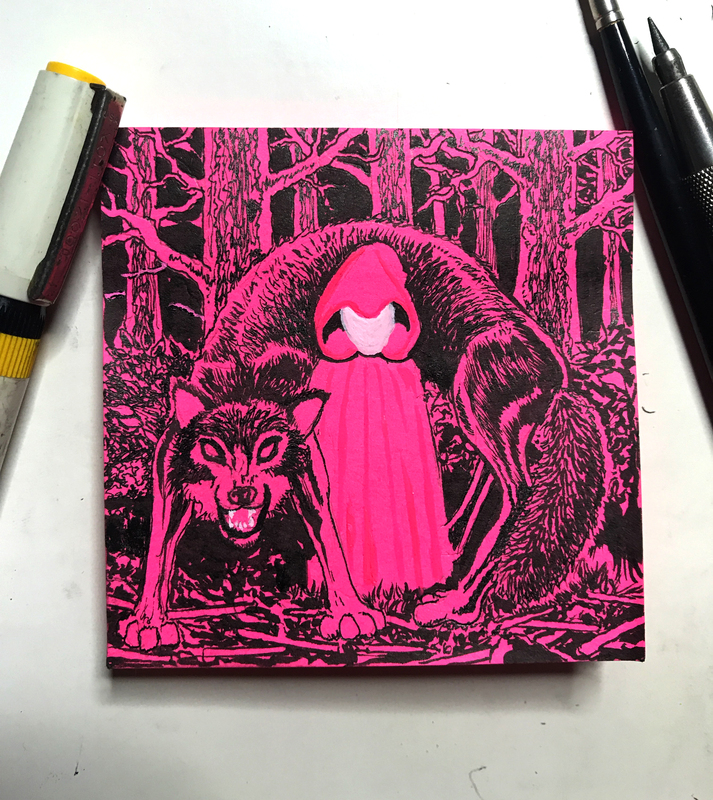 My last Post-it Painting for the Giant Robot Post-it Show! The show is December 2nd-10th at the Giant Robot Gallery in L.A.
Also I was interviewed by Noe Tanigawa of Hawaiian Public Radio for the upcoming Honolulu Printmakers Print and Book show that I’ll be exhibiting at this Friday and Saturday. I’ll post the time and links as soon as I have them. Switching up a bit. A rough ocean landscape. I don’t normally draw landscapes but after witnessing the King Tides here, I was inspired to draw a sculptural ocean scape. Mark that up as Post-It #5 I am totally loving my new Kuretake #40 brush pen! Definitely a step up from the good ol’ Pentel Pocket Brush Pen. 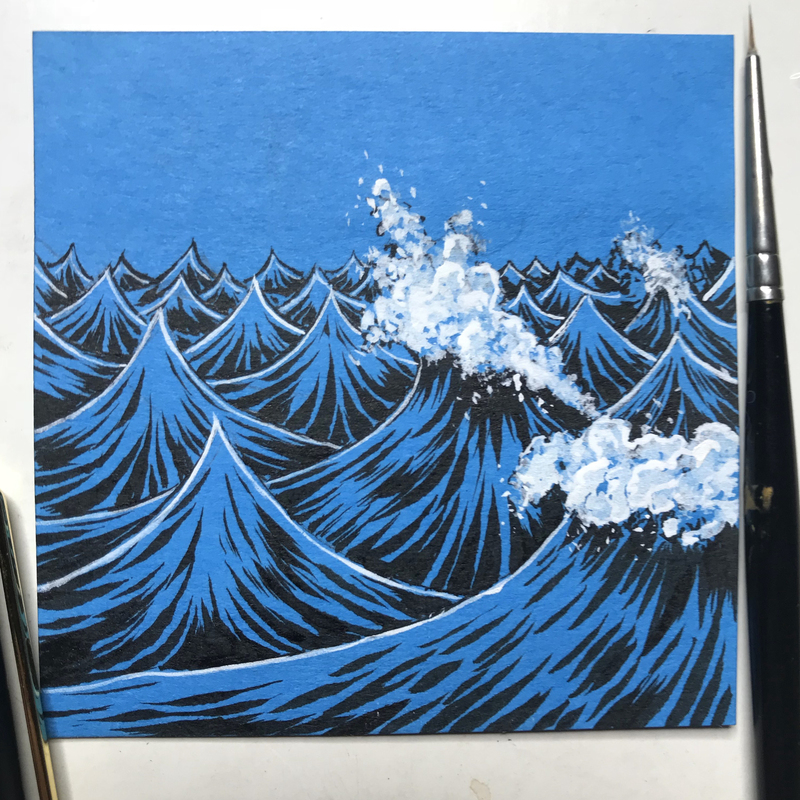 Here’s my fourth little Post-it painting. 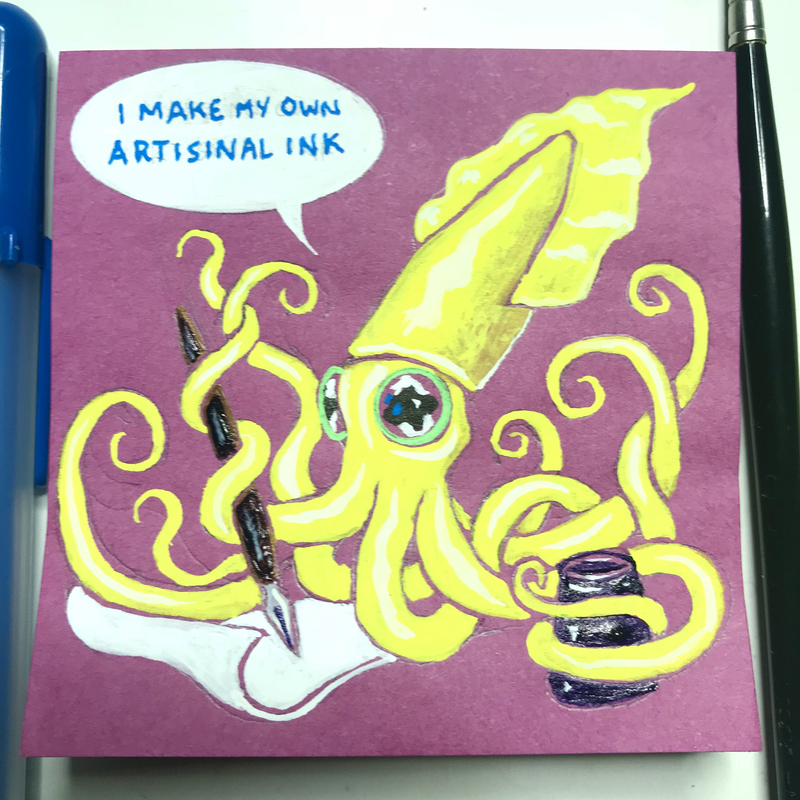 “Artisanal Squid” I’ve really been enjoying playing with style and design with each new one that I do. This one is pretty silly but fun. I’ve drawn Little Red Riding Hood before and in the previous drawing I placed an emphasis on the dread. This time around I wanted Red or Hot Pink in this case, and the Big Bad Wolf to be best buds. 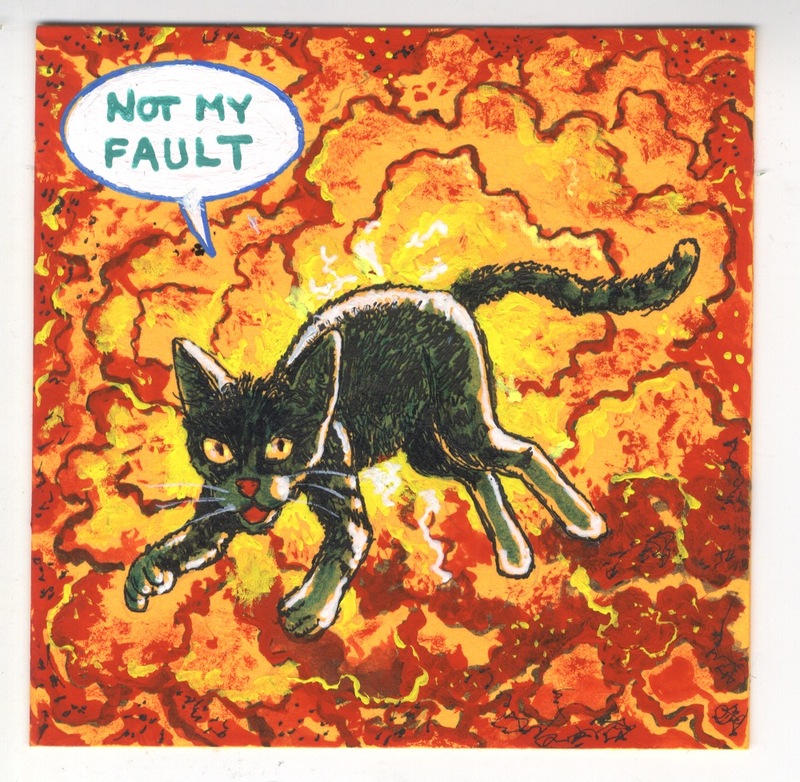 This is third Post-It drawing I’ve done for the Giant Robot show. 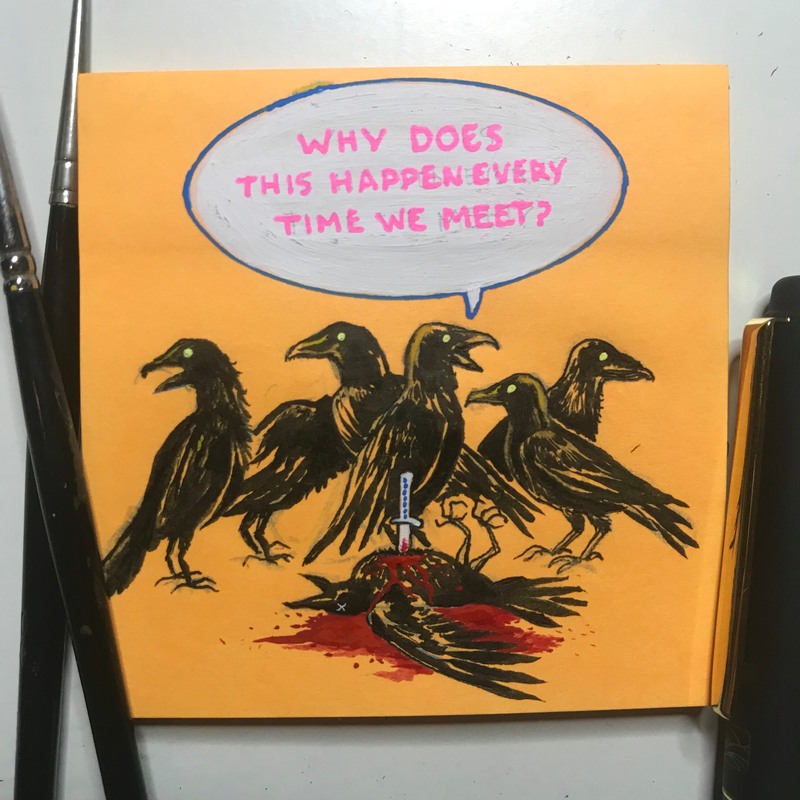 What do expect when a group of crows gets together? So I’ve been invited again to participate in the Giant Robot Post-it Show. This little guy is my first painting. 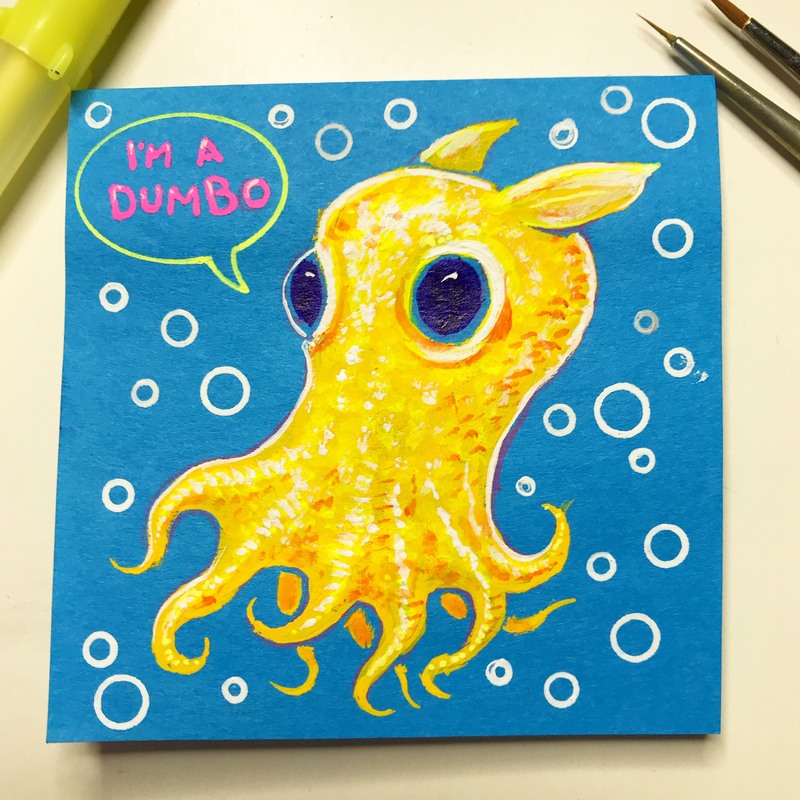 I’ve always wanted draw or paint a Dumbo Octopus! This gave me a chance to do just that! This took way longer than I wanted it to, but now it’s done and ready to be printed. I’m guessing other work and moving to Hawaii slowed my progress a bit. Definitely having to build a new studio and figuring out my new surroundings impacted how long it took. Usually an issue would take me 4-6 months to complete since I can’t work on it exclusively, but this one took over a year! Well. It’s done. 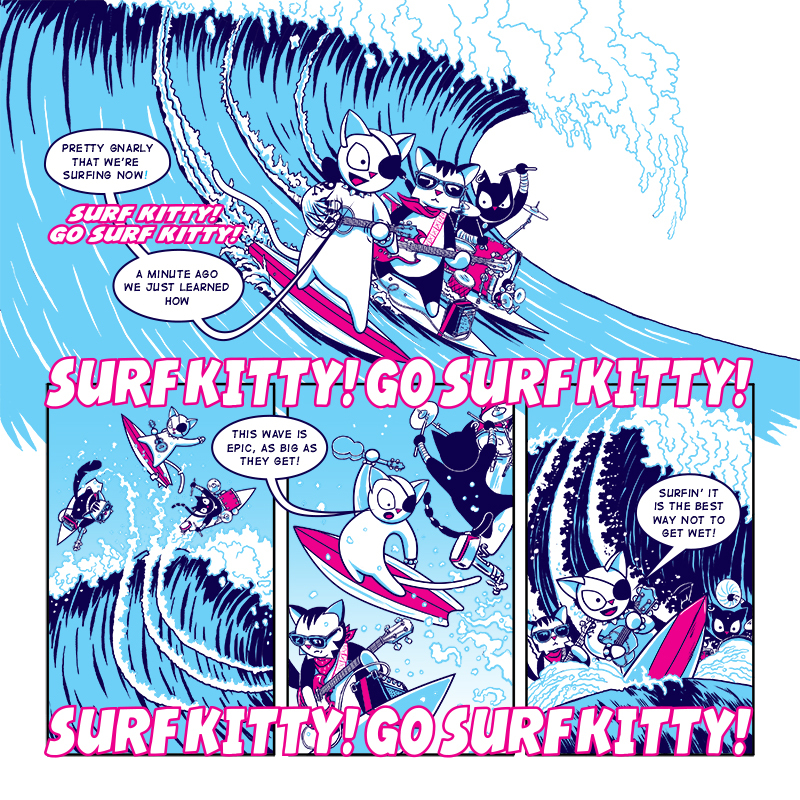 I probably won’t have it ready for the Short Run small press expo- which is next weekend. I’m still setting up my silkscreen studio (I miss a lot things in NYC- but the SVA printlab is in the top three). SO CLOSE!